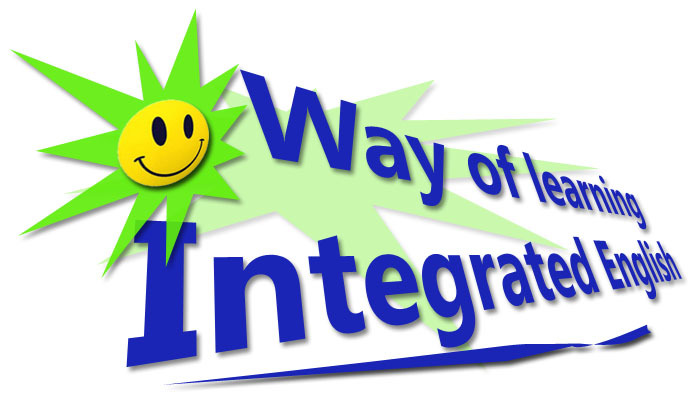 Integrated English (IE) is the basic of learning English that included Spoken Integrated English and Written Integrated English. Therefore, IE is one of lessons in English Department which be learned more. Now, I am studying Integrated English in class D. My class IE D is excellent, because there are many unique friends who I have found. I am comfortable to be in class IE D. I enjoy learning English in my class with my classmates. Besides, the lecturers are friendly and nice. They give many ways of learning IE in my class. For the first way, the lecturers ask us to read as much as possible any story in English or newspaper like BBC, Jakarta post, VOA learning English, and many others. By reading any story in English, it can improve our vocabulary and deepen understanding. Besides, we do reading report for assignment of written Integrated English. We must read in English once or more in a week. It is impossible if we do not read in English every week. After reading, we write brief summary of ± 50 words what we have read. We write list of new words. On the other hand, we usually read conversation or article in IE book to improve our pronunciation. Some of my friends are enthusiastic to read the conversation or article. Therefore, it makes the lecturers confused to choose the volunteer. After reading an article in IE book, we do an exercise. After that, we discuss it together with our lecturers. The second way is learning “Spoken IE” in my class is the lecturers ask us to make conversation in pair. After that, we practice the conversation in front of class. However, sometimes the lecturers ask to speak spontaneously. The main purpose is to make us confident in speaking English spontaneously. The interesting thing about learning spoken IE in my class is making a role-play. It is enjoyable in my class. We must act with our group. One day, my group members perform the role-play. Suddenly, my classmates laugh together because the scenes are funny. Sometimes, the lecturers ask one by one to answer her question. It makes the situation of my class is extremely quiet. The third way is learning “Written integrated English” in my class. Usually, we get some assignment of written in class or taking at home. For example, i write about my favorite activity. Then, I share my writing to my friends. My friends will check my writing. My friends will write the faults on the white board. Finally, the lecture will explain about the faults. Besides, we learn grammar focus. It is one of the materials Integrated English book. The way to learn grammar focus is by doing the exercise in IE book. The lecturers explain the material carefully. Therefore, we can understand the material well. For the last way is listening material in my class. It is not main material of IE. However, we try to learn listening skill. For me, listening is the difficult one in material of IE when I listen the rest of conversation i can catch the word clearly. In contrast, I can’t catch the word clearly when listen long conversation. There are many ways of learning about listening in my class IE. First, my lecturers play audio about the rest of conversation and we write down what the native speaker are saying. We also learn by playing audio Integrated English that have gotten from the lecture. Second, my lecture plays a western movie in class IE. By doing it, we can imitate their accent or their style to speak English and improve our listening ability. We also visit listening lab with the lecture. We enjoy this moment, because the place support our learning by providing facilities like earphone and computer. In conclusion, my class IE D has many ways in learning Integrated English. The ways are very helping us to master in English. After four months of learning IE, I think our English has improved. My class is not only to learn IE, but it is a place to get new experiences, nice friends and great lecturers. 0 Response to "Way of Learning Integrated English"